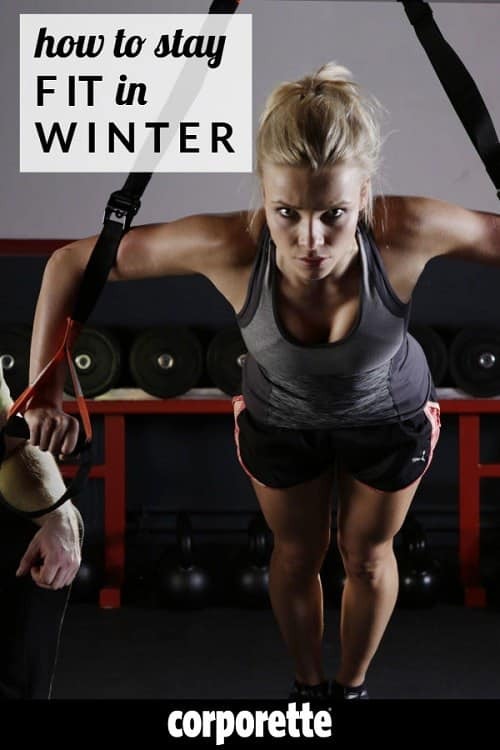 what do you do to stay fit in the winter? If you go outside the house (running, gym, etc) do you have a backup that you do if it’s too slippery/cold outside to motivate, or do you just not work out? for those of you who stream your fitness (YouTube, Beachbody, etc), what are your favorite channels/trainers/programs? for those of you who do apps for things like strength training, what are your favorites? if you own a machine (elliptical trainer, rower, bike [or Fit Desk], etc) what do you own, and are you happy you purchased it? I’m still finding my footing with fitness after my knee surgery and my second pregnancy, which left me with hip issues that flare up — but I’m more motivated and inspired than I’ve been in a while to get strong and hopefully get back to running in a few months. These are the fitness things I see the readers talk about most often — if there are any devotees of these programs or any others I’d love to hear you comment! What are your best tips for how to stay fit in the winter? Is anyone doing any intense new workouts as part of your resolutions? What’s your favorite kind of winter/housebound exercise, and why? Psst: here are our most recent posts with tips before you hire a personal trainer, how to fit lunch workouts into your workday, and our best tips on packing a gym back for the office. Morning exercise works best with my schedule. I like to take classes (year round, but especially in winter), which makes me commit/show up because I’ve spent the money to be there. I struggle a lot with open gym time/at-home exercises because I don’t have that incentive to get out of bed. But, one of my resolutions is to do a 30-day yoga challenge (mostly at home), which I hope will transition into a regular at-home yoga practice. I’m planning on streaming videos from YouTube (mostly Yoga With Adrienne – although would appreciate other recs!) and perhaps audio from Aaptiv. I like BBG, but I have to do those exercises in a gym since I don’t have any equipment or furnishings to convert that I could use at home. Plus, there is a fair bit of jumping for cardio, which can be both hard on the knees and noisy for downstairs neighbors. I wish I had the space for a Peloton or Flywheel bike, but zero chance of that happening any time soon. I also like Yoga with Kassandra and Fightmaster Yoga. I’ve been doing Adrienne’s January yoga challenge and I love it. She keeps Benji, her dog, in them this time around and it’s adorable because I too have almost decapitated my cats while moving into downward dog or down boat pose with extra weights because of them decided he wanted to go for a ride. Fitness Blender and PopSugar Fitness are my two favorite YouTube channels. I use them year round. I also subscribed to Blogilates on YouTube, but have only tried a couple of videos. + 1 I know I sound like a broken record but I just love Fitness Blender. Over 500 videos, completely free, very challenging (but doable) and you have no excuse not to work out because you do it at home. The strength training videos are my favorites. I’ve been filling in the gaps with the app Down Dog–I liked the free version enough to upgrade to the paid version (about $30/year). It generates a slightly different sequence each time, which I strongly prefer to doing the same yoga DVD over and over. I like that I can customize the level, speed, and length, and tell it which area of my body/practice I want to focus on that workout. Does your Y have childcare? Or do they have reciprocal benefits with a semi-local one that does? Included childcare was one of the reasons I joined my Y. It’s not great, but I know they’re at least supervised by an adult while I get my hour workout in. I dream of the day mine are out of diapers so I don’t get the dreaded “You need to change a diaper” or “Baby won’t stop crying” interruption. But I figure 20 minutes of workout is still better than 0 minutes of workout. They make you come change the diaper? Our Y just takes care of it. +1. Most Ys offer childcare. It’s nice because you’re in the building just in case something were to happen. Maybe outing myself but winter is my favorite time for fitness because I go ice climbing, which is a great full body workout and also very fun (except for when you stand around in subzero temps, get hit in the face with ice chunks, or get the screaming barfies in your hands). I sport climb and I looooooove it. But ice climbing sounds so awful. Someone told me about the screaming barfies and I was like why would you why would you?! It’s so worth it! I’ve been told that putting a handwarmer on each wrist (with a rubber band or if your glove is tight enough) will help, but I haven’t tried it yet. Screaming barfies probably ranks second only to childbirth in pain (Joking! I haven’t given birth so what do I know.). I actually have never done any rock climbing, but this is my third winter of ice climbing. For some reason I feel much safer being able to swing an axe into the ice for a grip, even though I know logically ice climbing is less safe. Try it! (I’m fortunately to live in the ice climbing paradise of the US, where you really have to love winter to live, but there’s ice climbing in lots of places in the US.) I love winter! You’ve gotta try sport climbing if you ice climb. I promise it’s safe! The bolts are in rock not ice! Also if you just love being cold, plenty of crazies are willing to do it in temperatures way too cold for me. Most people call 40F “sending temps”, whereas I call it “climb on plastic instead temps”. Haha, I will try it, I promise! 2018 will be the year of trying new things. Going fat biking next weekend for the first time. And to be honest I’m a bit of a fair weather ice climber, when “fair weather” means anything above 15F or so. Below that the ice is so brittle and I get a little scared. I walk to work (and many times home) every day. I walk over 2 miles each way (from E77th to E35th streets and sometimes across town to go to L&T at lunch, so I am doieng my best to keep my tuchus in check. In the summer it is easier to guage whether I am in good shape based on the guys who are doeing construction on 3rd Avenue. If I get freindly calls about my tuchus, I know things are workeing well. Now, however, in the winter, I cannot tell b/c no one can see anything other then my puffer coat, which keeps me VERY warm. I do swear by the puffer coat, particularley when it is so cold out. Even today, when I slipped in the schlushy snow, I stayed dry, tho the puffer coat got wet. FOOEY! I have a suspension trainer, a pull up bar, a dip stand, and a stackable freeweight set at home. Fitness Blender is my go-to for strength training videos. But winter doesn’t really change my workouts that much. The weather has to be pretty miserable before I stop running outside, and that was true when I lived in Not Texas where the winter was a real thing. I just invested in quality winter running clothes, including waterproof trail running shoes for nasty snowy slushy roads. Do any of you have a Peloton and if so how do you like it? I just got one and I like it. I dont looooove it, I think because I dont love spin that much, but it is a great in the house option. I also belong to OrangeTheory and go to 2-5 classes per week. I try to go to 2-4 hot vinyasa yoga classes a week as well. I think the Peloton will be great for the times childcare woes/work prevent me from getting to OrangeTheory. In nicer weather, I also run and bike outside, and occasionally kayak. I also swim laps about once every two weeks throughout the year. On the off chance you’re still reading, can you do a “Week in the Life” post for the Moms site? I am fascinated that you have kids but can still fit in 4-9 out-of-the-house workouts each week. I need to learn your secrets!!! I have a Peloton, and I like it a lot. I don’t use it as much as I thought I would (small kids mean I either use it at 5am or 9pm, and half the time sleep or work wins over workout) but it’s sooo more convenient than a gym because I can do it while the kids sleep. The screen is loud though, so you need to keep it in an out-of-the-way space to avoid bothering your family. I have had one for almost a year and I like it. I work out in the morning on weekdays and sometimes on weekends (usually 4-5 days a week). I enjoyed spin classes before, but my gym had them at times that were really inconvenient for my schedule. The metrics on the bike help you stay motivated and I have found a few instructors that I really connect with. There are tons of classes of all types and music. The community/social aspect of it gets to be a bit much. The people on the Facebook group are crazy and I had to mute it. I also do yoga and Pilates and work out with a trainer once a week. I don’t have a peloton bike but I hacked with a standard spin bike, wahoo cadence sensor, wahoo elemnt mini bike computer, and apple tv. All together probably under $600. Most people use an iPad but I don’t have one and having the tablet mounted wasn’t really ideal. I just have the bike in front of a tv and mirror my iPhone screen. What I like more than having the real bike is that because I usually don’t do live classes, I get most of what I need for $13/month vs $40 for the actual bike. In summer I mostly run outside, but in winter I am a total Flywheel obsessive. I went about 20 times in December and this is the only time in my life I haven’t experienced holiday weight gain (and yes, I was still eating cookies and drinking a cheerful amount). It’s definitely not cheap, but it’s exercise I look forward to in winter, so for me it’s worth it. After 29.75 years of pure unathleticism, I started going to the gym last May and have kept very consistent since. My only tricks are that it’s convenient for me to get to, and my motivation is entirely unrelated to fitness. Chronic depression and debilitating anxiety were seriously impacting my quality of life and I had to do something to free myself. Mental health will always be a work in progress for me, and hitting the gym has helped me get through a lot in the past year. Can you share if you think cardio or weights have (one more than the other) helped with your depression or anxiety? I also suffer from depression and anxiety, and have been looking at exercise as a way to help manage. Not OP, but for me it was weights. I find having a set workout with achievable, linear goals really satisfying and meditative, and it really helped my mental health issues. I actually split my gym time between cardio and weights. If I was only going to pick one, though, it would definitely be weight lifting. It’s easy to come up with strength training goals that keep things interesting and make it easy to feel accomplished and stronger than I give myself credit for. But when I am getting anxious and feeling a little manic/unsettled, cardio is what I need to center myself. I know it’s counter to common advice, but I hit cardio (elliptical almost always because I have bad knees and hate running but want the effect of running) first and go until I am tired. Would probably skip cardio far too often if I did it second, but I never feel tempted to skip the weight room because it’s a lot more fun. Walk a lap around the track to catch my breath, and then into the weight room. I keep my weights low and reps high, but that’s just my personal preference. I find that cardio helps my depression/anxiety more than weight training. The combination of both is obviously best, but nothing beats running, biking, even an elliptical machine for my mental health. +1. Rowing 30k a week has done more for my depression than any medication (and there have been many) has ever done. Not a machine, but I have a power rack and barbell in my garage, and it’s great. I highly recommend this course to anyone who’s into lifting! I got it on Craigslist for less than a year’s membership at the community center “fitness room” would have cost (for me and my husband). Unfortunately my garage is not weatherproof so I took the past week off. New convert to Orangetheory. Convenient, great workout, and changes constantly so I don’t have time to talk myself out of something. Plus I’m a sucker for the data aspect. I go to Exhale barre and yoga classes 4ish times per week, mostly in the mornings. Beyond that, hiking or the elliptical or bike in my apartment gym to get up to 5/6 workouts. I also got a Peloton. I LOVE LOVE LOVE it. Its changed my life because now I can work out almost every day. For example when I have to wake up one kid at 6 and take him to carpool at 7 I can get in a workout before I have to wake up the other kid at 7 and get her (and myself) ready for my day. I had been working out at 5 am, returning at 6, but they are teens now and seem to need me, my homework help, and my presence from 8- 10 pm and I can’t wake up at 4:30 unless I get to bed by 9 and I can’t really get to bed at 9 any more. But 10 or 11 -6 is doable, entirely because of the Peloton. The reason I like it is that the competitive aspect of the leaderboard makes it feel social. (and I love to compete) Its an amazing product — mine is in my room and was my happy divorce to me present and was worth every cent, even with the $40 monthly fee. Could not recommend highly enough. After 12 months off pilates I’ve picked back up with the Blogilates beginner 2.0 calendar. It’s 6 times a week, for 4 weeks – and isn’t really solely pilates either which gives a variety. But, it means I am active most days. I also keep my steps up by walking when I take phone calls, even when it’s just circling the office. I’ve also changed my motivation from fat loss to increased stamina and fitness, and that helps. I run outdoors in the summer but right now I am all about the Aaptiv app. I was seriously skeptical, but I have loved the workouts. I’m doing yoga twice a week and spinning three times. DH bought this bike trainer thing (no idea what it’s called) that converts a regular bike into a stationary bike. No quite as good as a true spinning bike, but good enough for a healthy workout. I love winter running when it’s cold and dry, but ice/snow is a huge deterrent. I’m clumsy enough that I’m not willing to risk injury when the sidewalks are questionable. For apps, I recommend Nike Training Club. It’s free and you can sort workouts by goal, difficulty, type of equipment needed, time, etc. I head to our local Y (2 mornings a week at 6 am before work and my son wakes up) and 1-2 times on the weekend. Not one for organized classes there so I run and lift weights. When the weather is better (I’m in Chicago), I like to go for a walk or a jog by the lake in the mornings — at least once or twice a week. But my real passion is karate — I go 3-4 times per week and the best part about it is that my son and husband do it too (my son is 6). My son is good enough now that he and I can take classes together and I also manage to make it 1-2 times to the adult classes. I typically work from home on Fridays and my favorite Sensei teaches on Friday mornings so I usually try to block out my calendar to allow myself that little luxury of going at 10 am every Friday morning. I love it — for the physical and the mental training. I also love the self defense component. It’s been great for my stress and anxiety. I love this thread because I am a regular class person (my local gym + classpass), but I was looking for some apps/youtube to do at my office gym to fill in a timing gap I will have (put my gym membership on hold for an upcoming trip.) All that to say, truly appreciate the suggestions. About to research them! I will also give a SO for classpass. Its great for when I travel. I love spin and rowing, so when I am on the road, I can look up a local class and walk in. I have never tried Orange Theory, but maybe I should. . I love Cathe.com. I normally stick to recordings of live streamed classes from her gym in New Jersey via Cathe Live, but Cathe OnDemand (which is all of her DVDs from over the years) is great, too. When I want a lighter day, I’m a big fan of the Fitness Marshall’s YouTube channel. For anxiety and depression, I’ve found ‘going hard’ is the most effective. If I stick to just low or moderate workouts like low impact Zumba or Barre, I don’t see the same benefits as when I do 20 to 45 minutes more intense HIIT or weight lifting circuits. I get stressed doing ‘regular’ yoga, but I feel much better after a yin session. I’m trying to figure out how to get cardio in to my schedule. M-Th I grab a bowl of oatmeal and coffee, take the kids to school (25 min), drive to campus (75 min), usually take a brief break around 12 for a frozen lunch and Coke Zero, teach for five hours, wrap up my office, and drive home (75 min). I had spinal fusion surgery four months ago and am still regaining my strength after 18 months of disability from a car accident. I gained 30 pounds since and can’t fit into my clothes. I’d like to walk outside and transition to running, but it’s freezing cold. I can’t do yoga or pilates, or even aerobics yet. I’m thinking of getting a Bowflex Max – anyone have one? I also have an old Total Gym, but it’s not really aerobic.